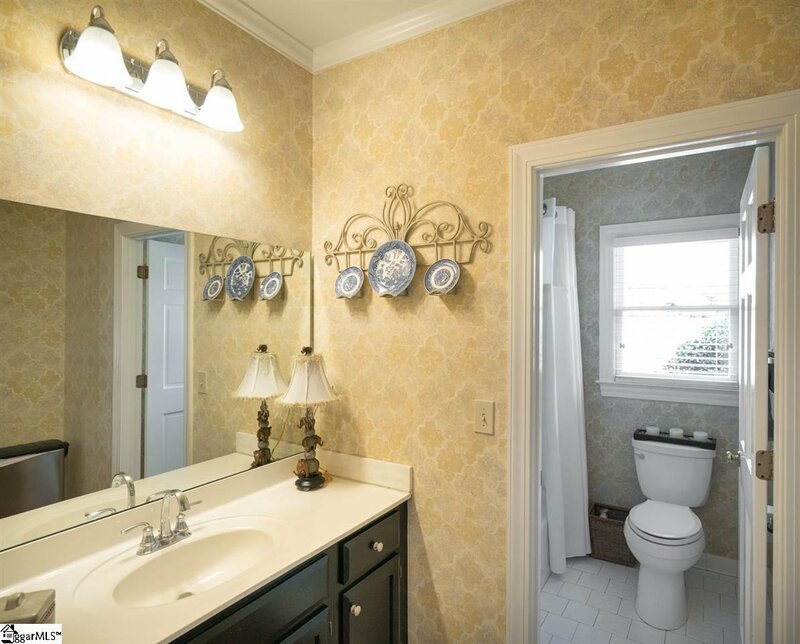 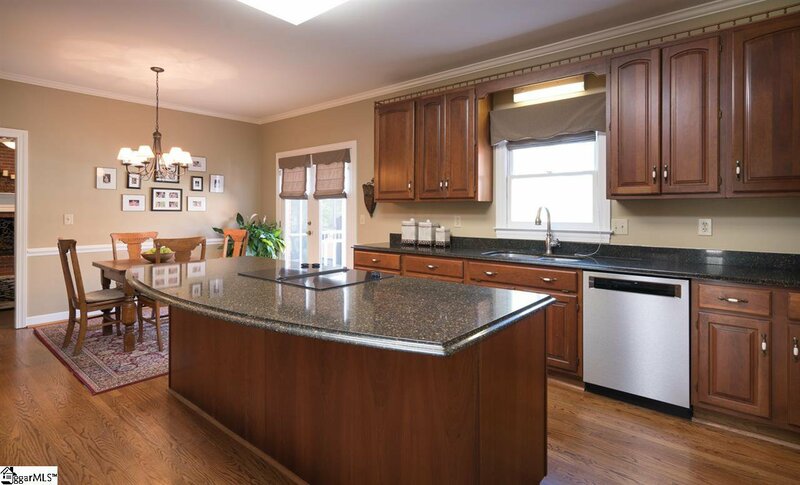 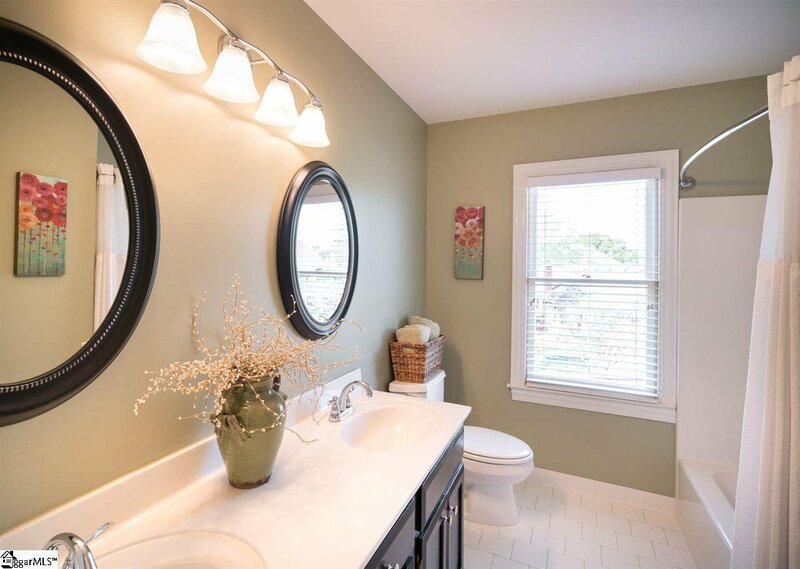 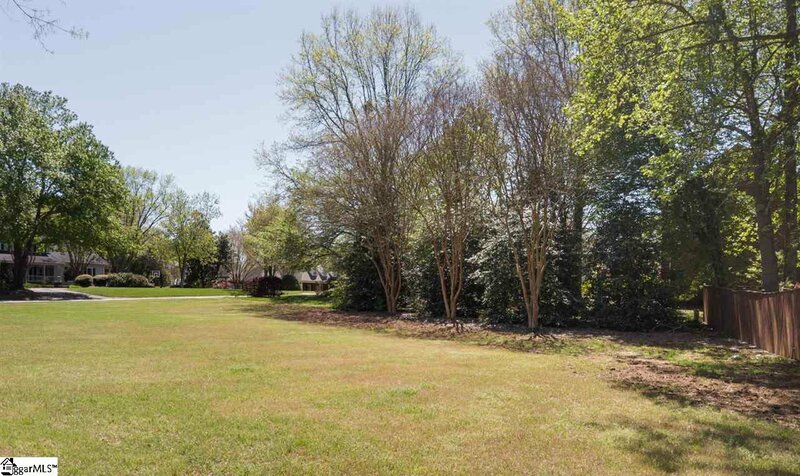 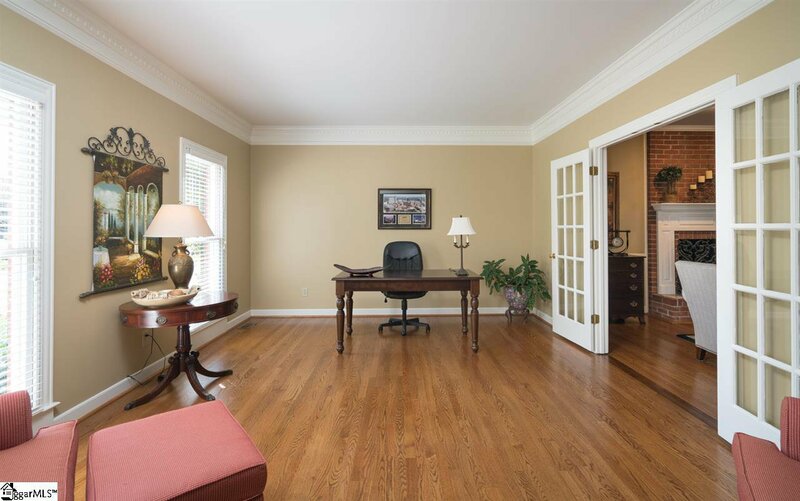 Estate size Lot...Fully Renovated Master bathroom....Five Forks Simpsonville! 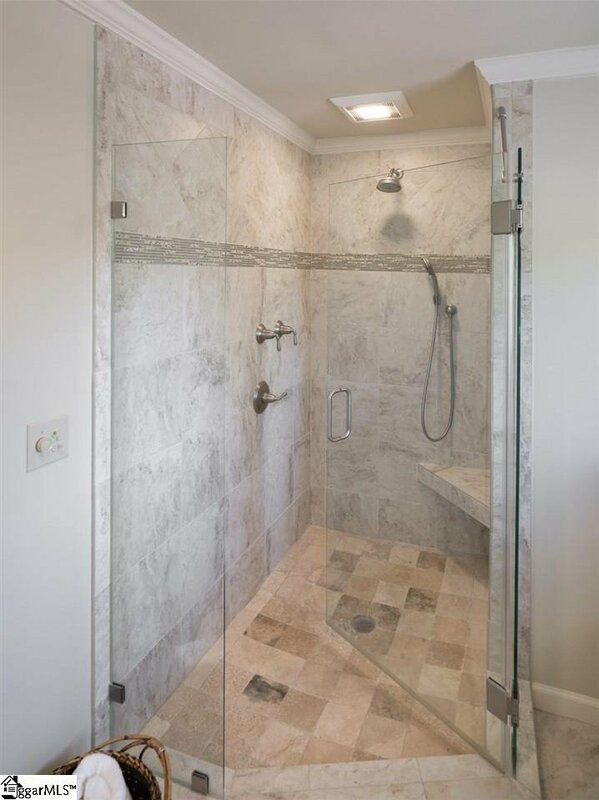 Now that’s a combination anyone can appreciate! 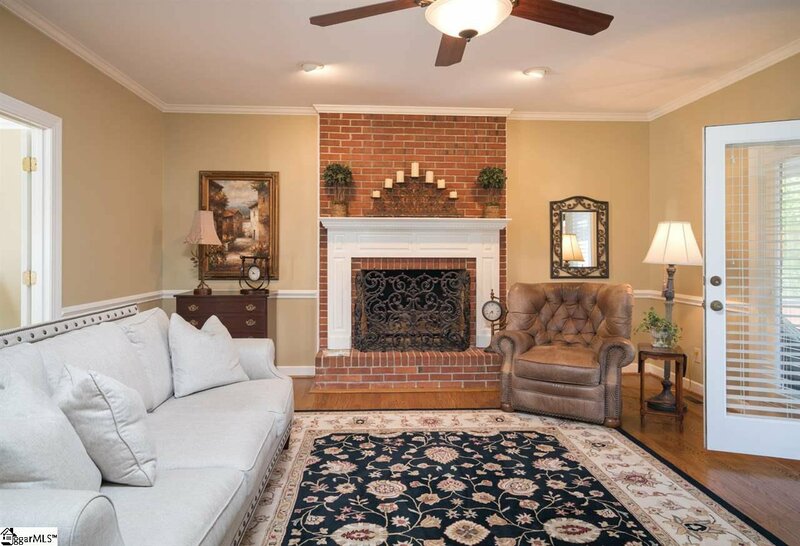 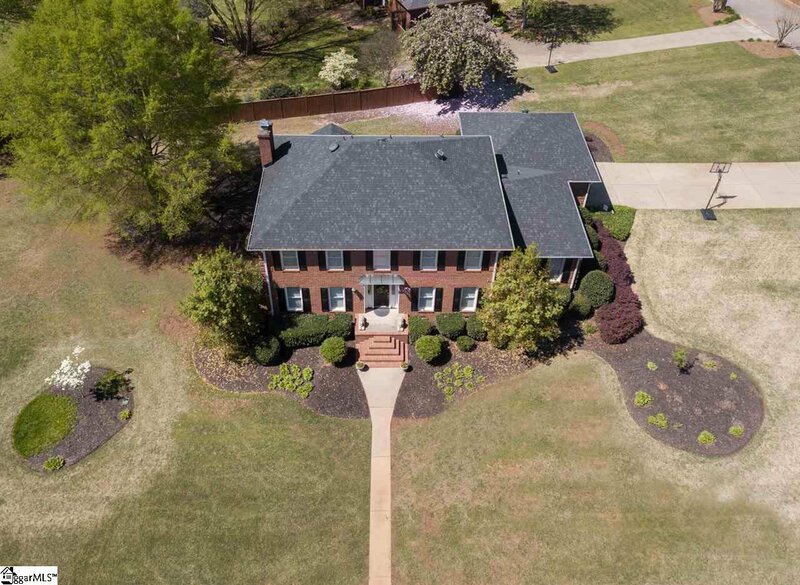 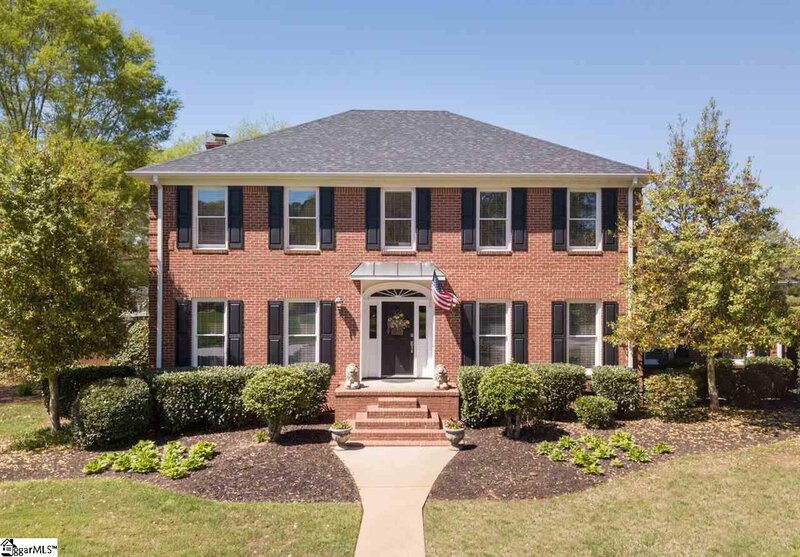 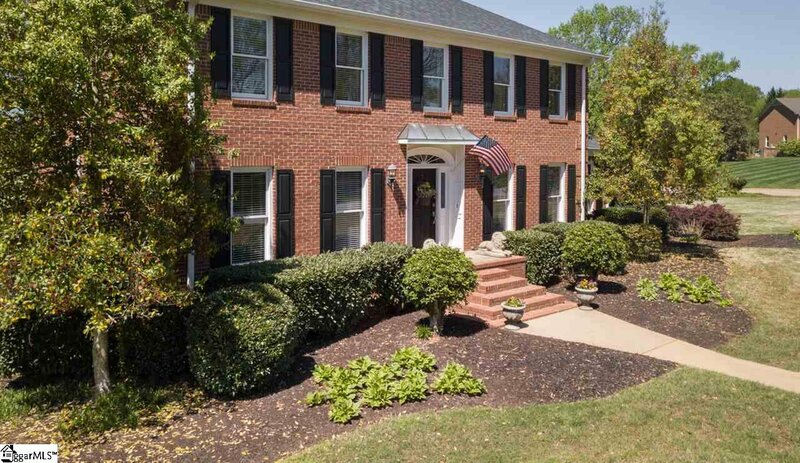 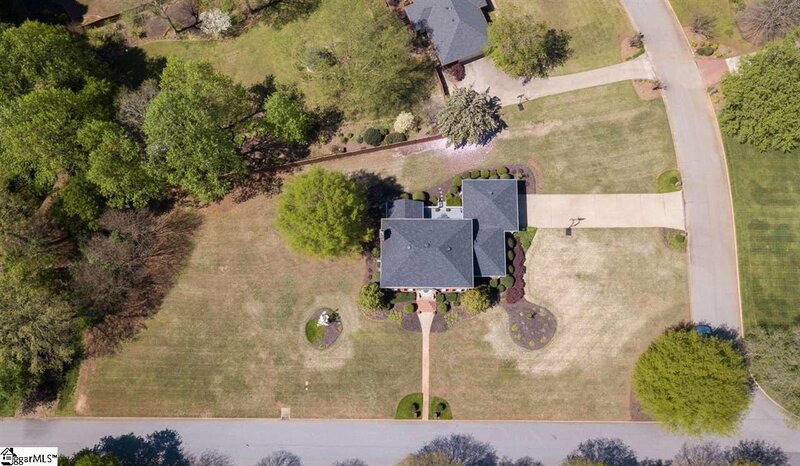 In fact, this one-owner all brick custom home truly affords so many special touches and hard to find details. 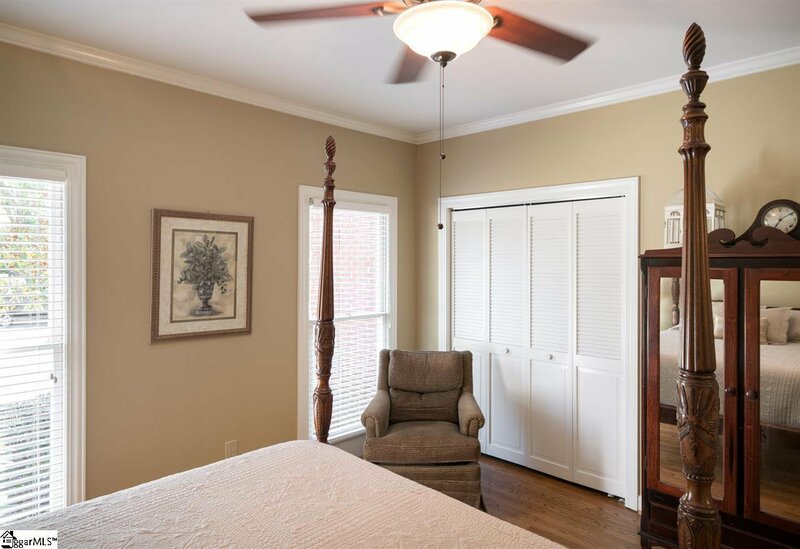 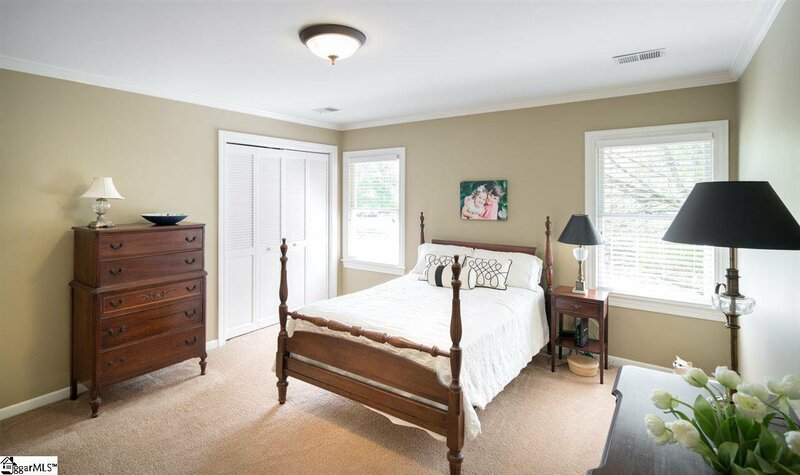 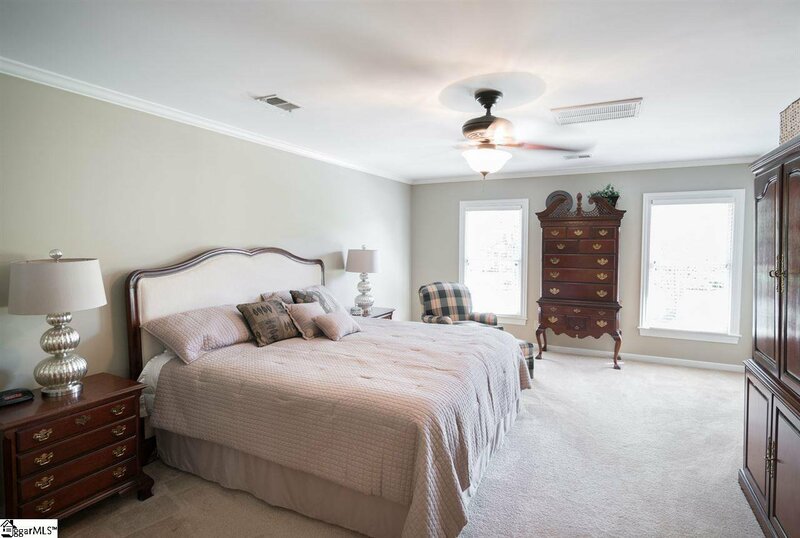 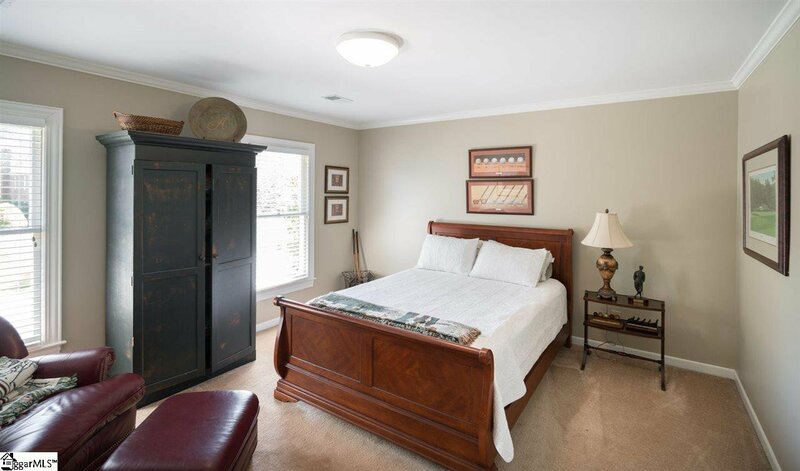 For starters there’s a large guest bedroom with hardwoods and a full bathroom on the main level. 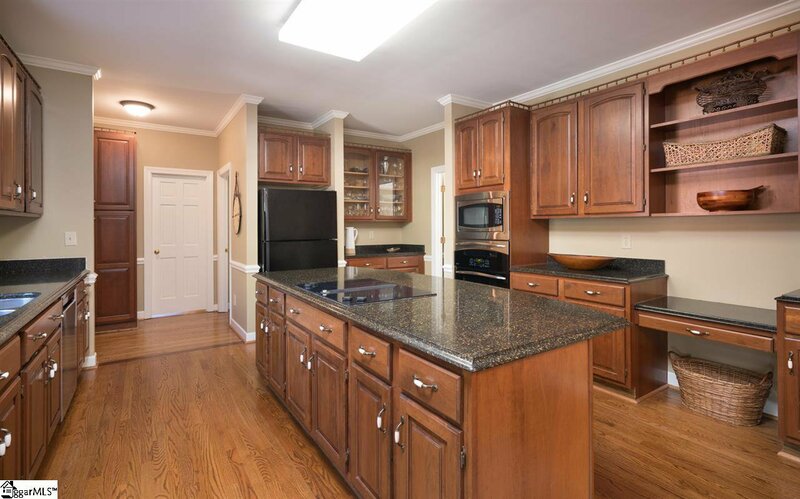 The kitchen showcases furniture grade cabinetry, a smooth cooktop, double ovens, and a sprawling center island with quartz countertops not to mention a built in cabinet style pantry. 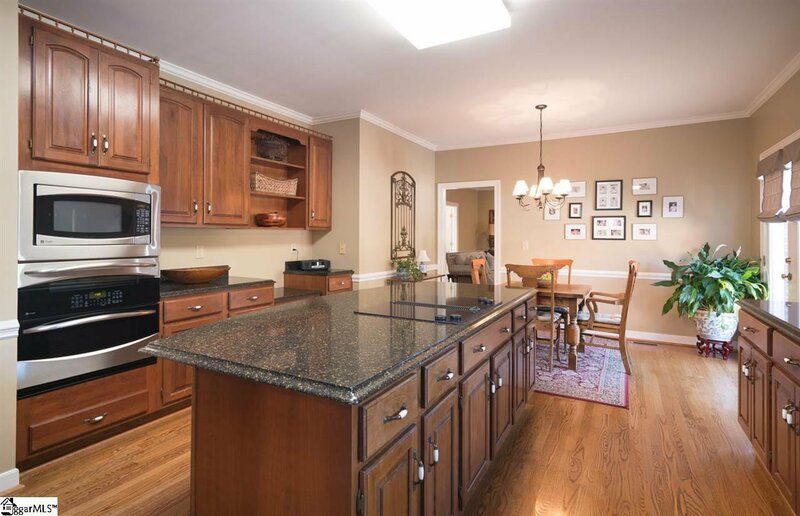 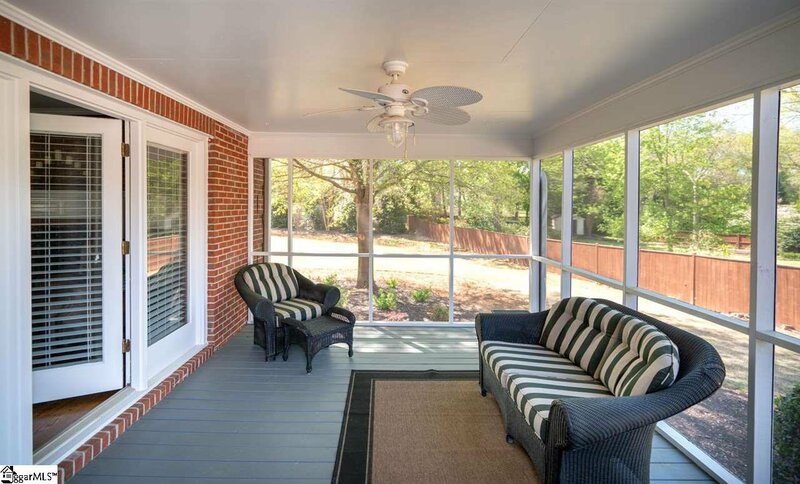 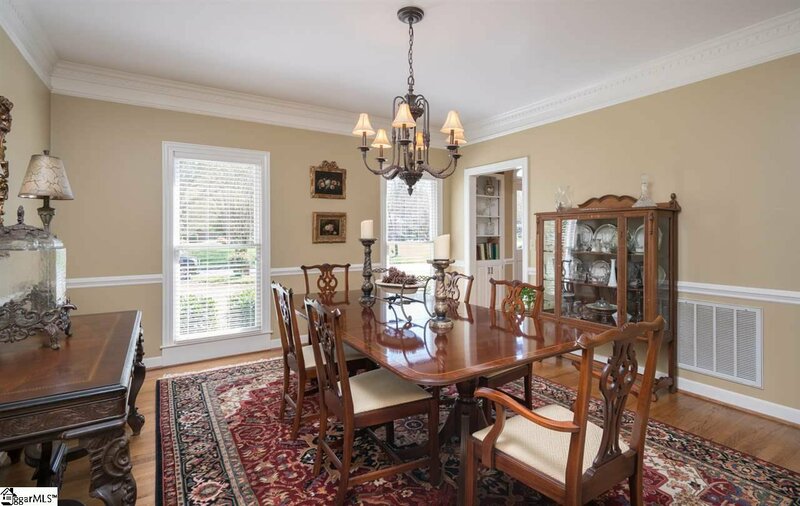 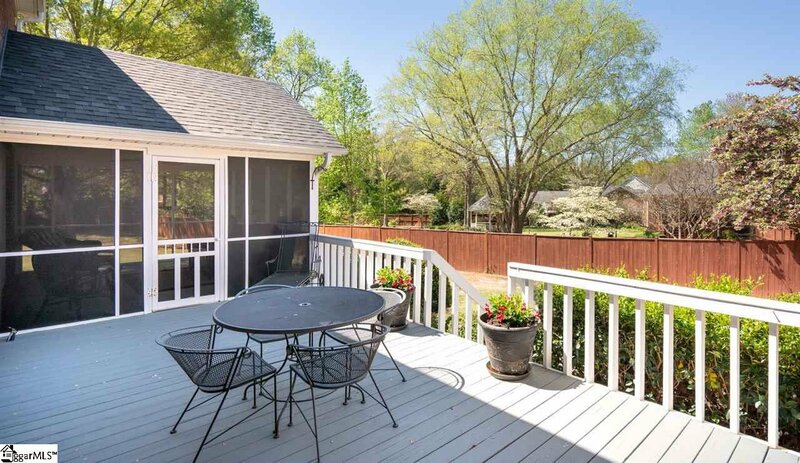 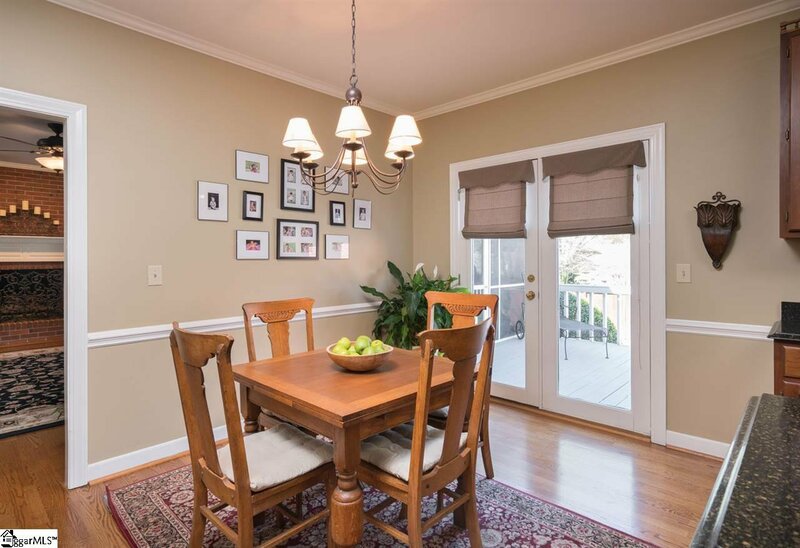 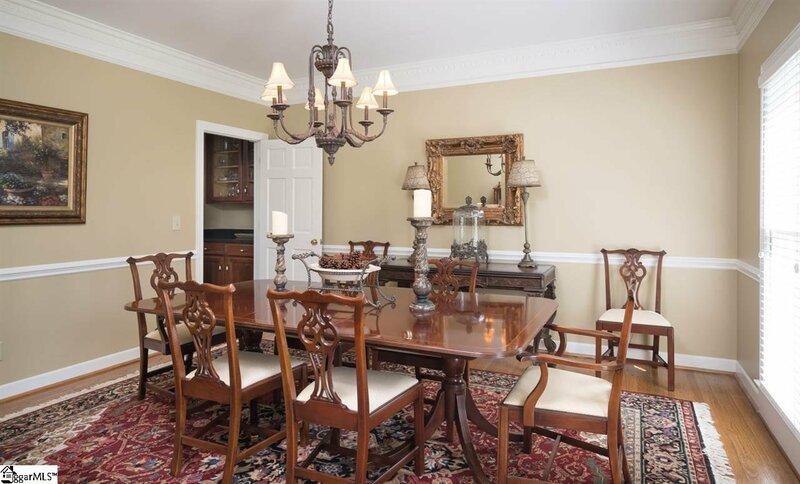 The charming breakfast area overlooks and has access to the home’s deck and rear grounds. 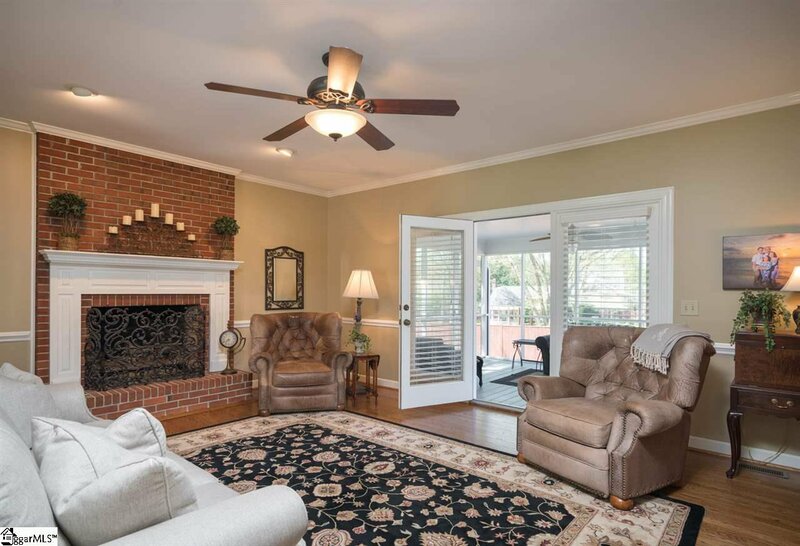 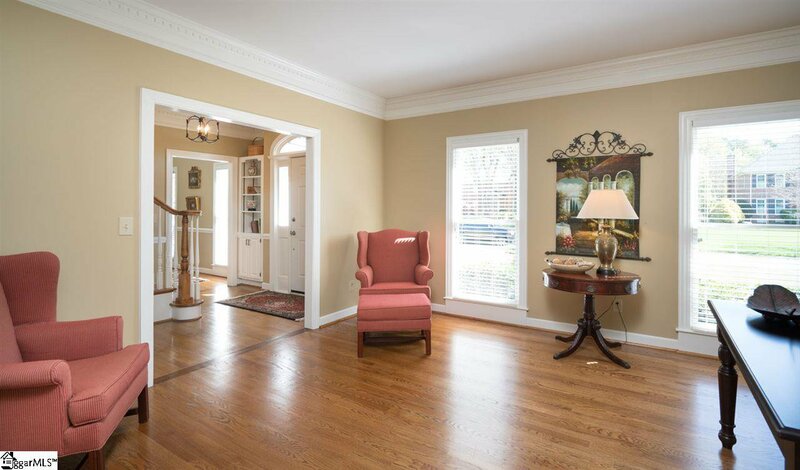 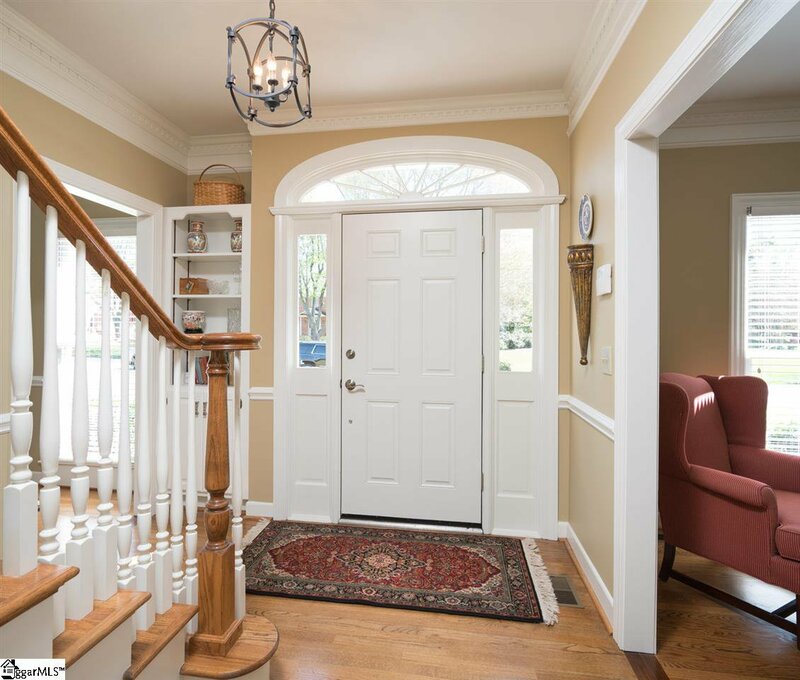 The Great Room features a center gas log fireplace and views of not only the front study / ideal home office with French doors but also the home’s charming screen porch. 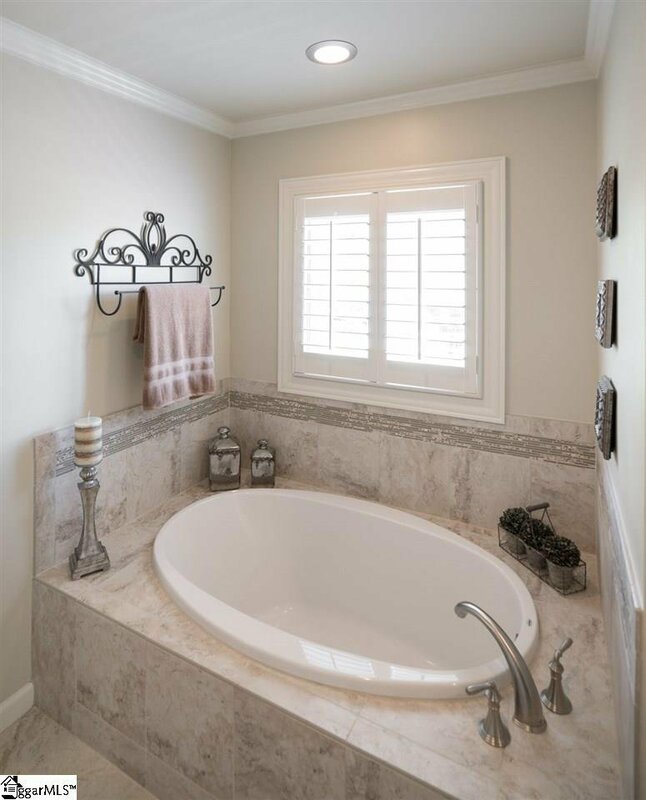 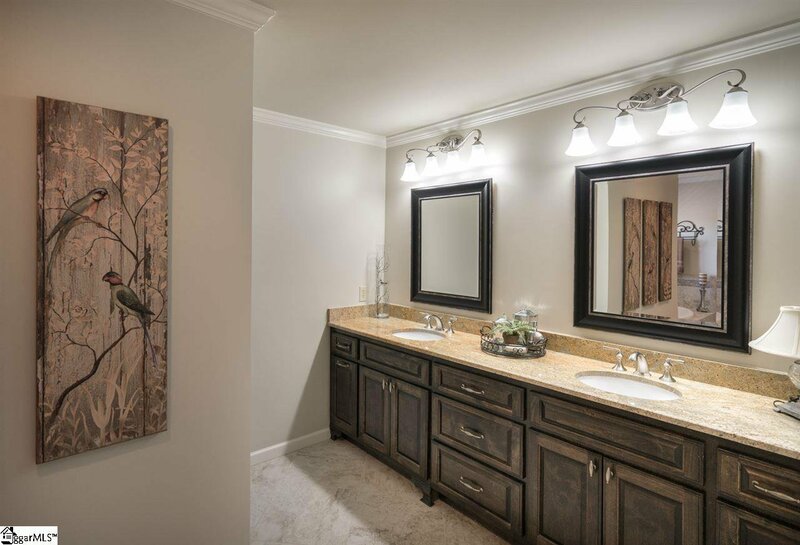 Upstairs you’ll be blown away by the spa-inspired master bathroom with a large fully tiled shower with frameless shower door and soaking tub and stunning vanity with two sinks and granite tops. 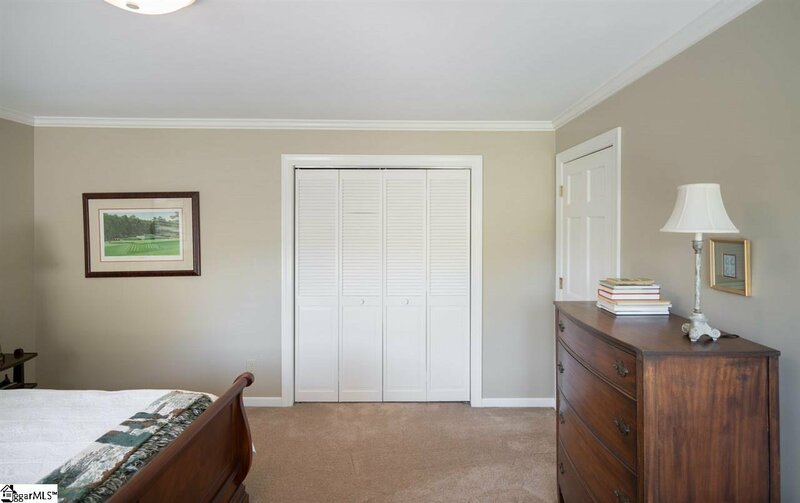 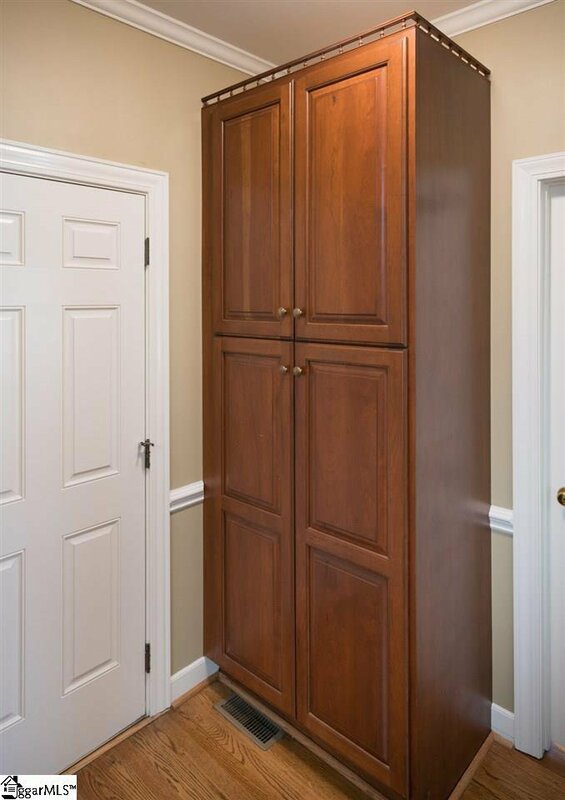 The master bedroom boasts a large walk in closet with custom shelving. 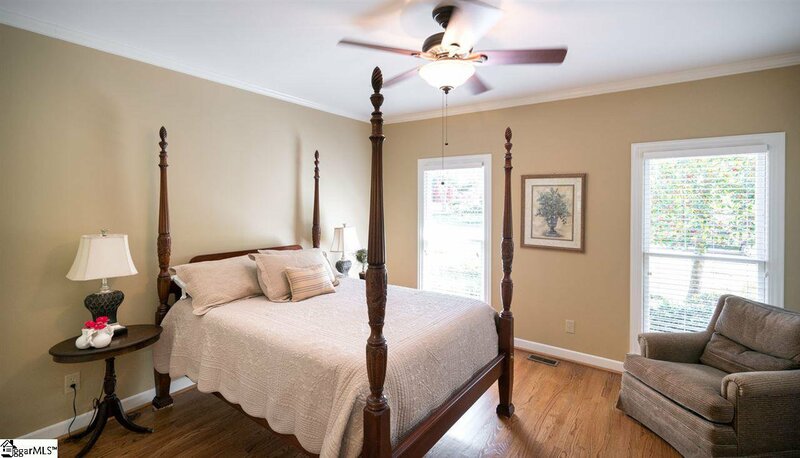 There are two secondary bedrooms upstairs sharing a well-appointed hall bathroom. 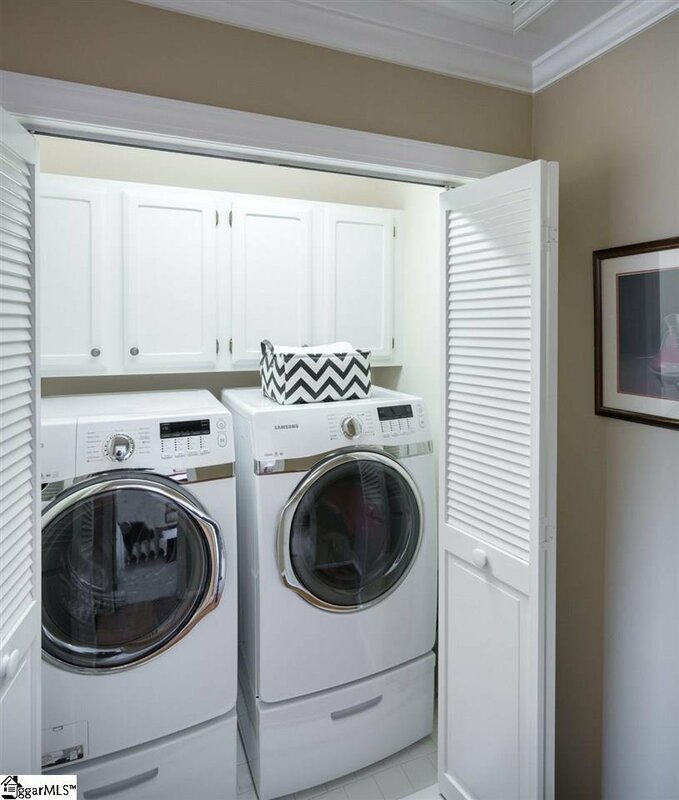 The laundry is conveniently located on the second floor too. 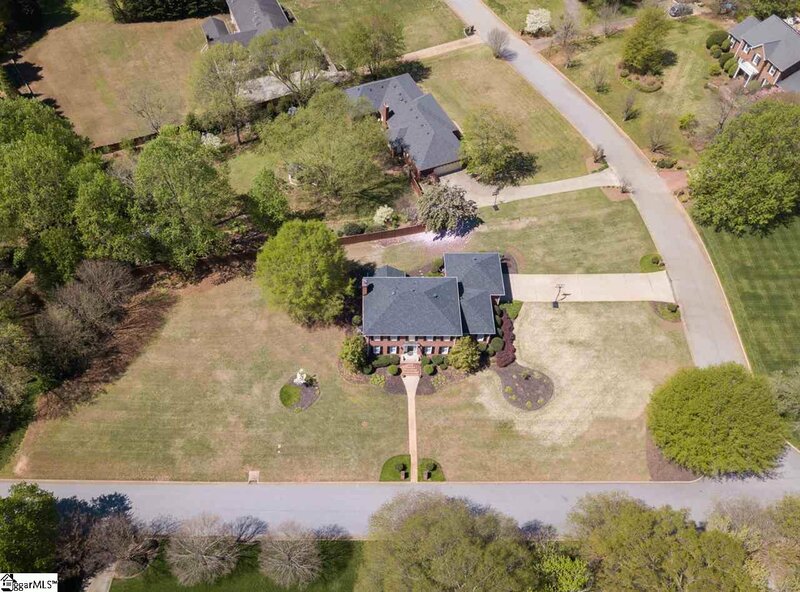 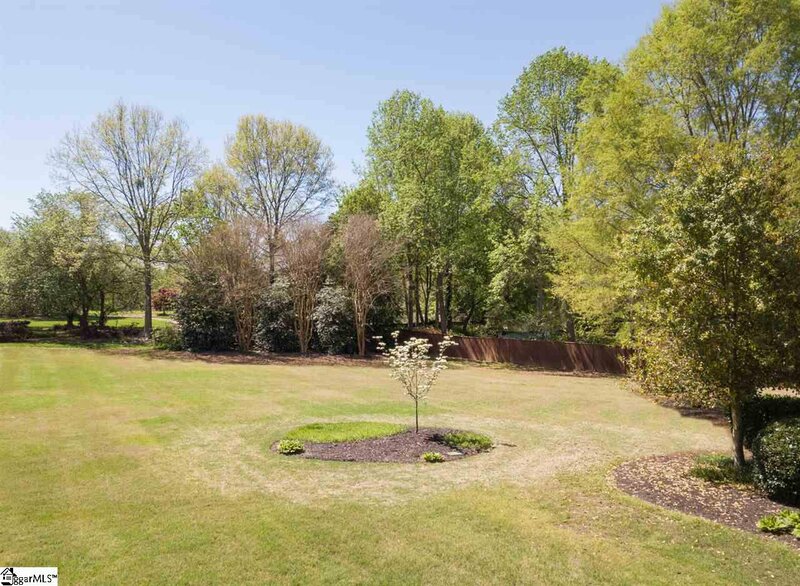 The .87 acre estate lot affords so much space for recreation and don’t miss the long driveway ideal for basketball games near the two car side load garage. 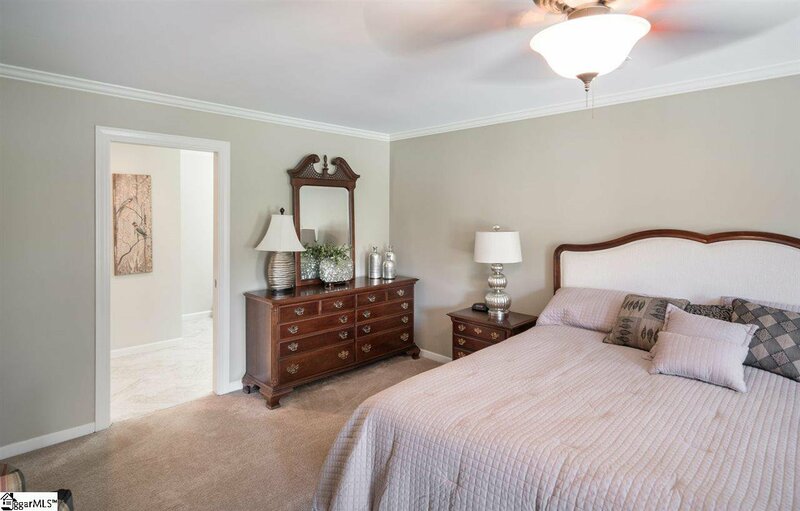 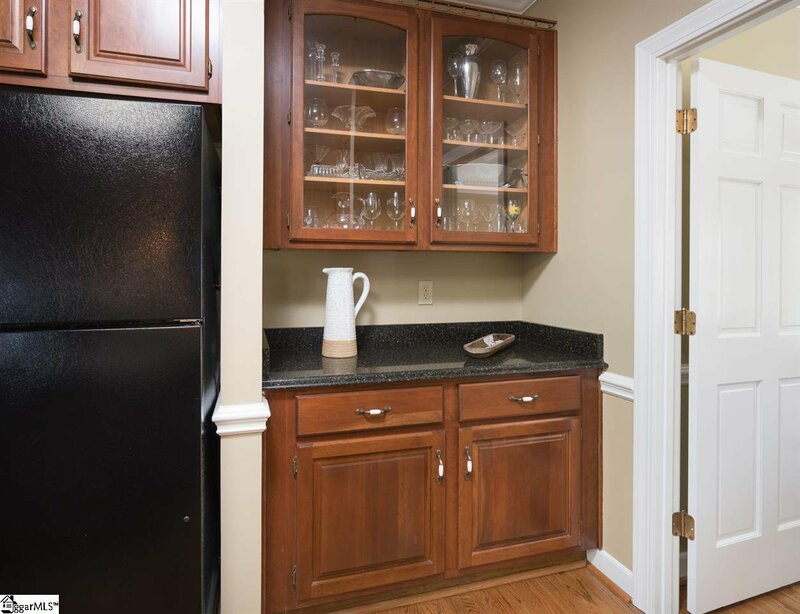 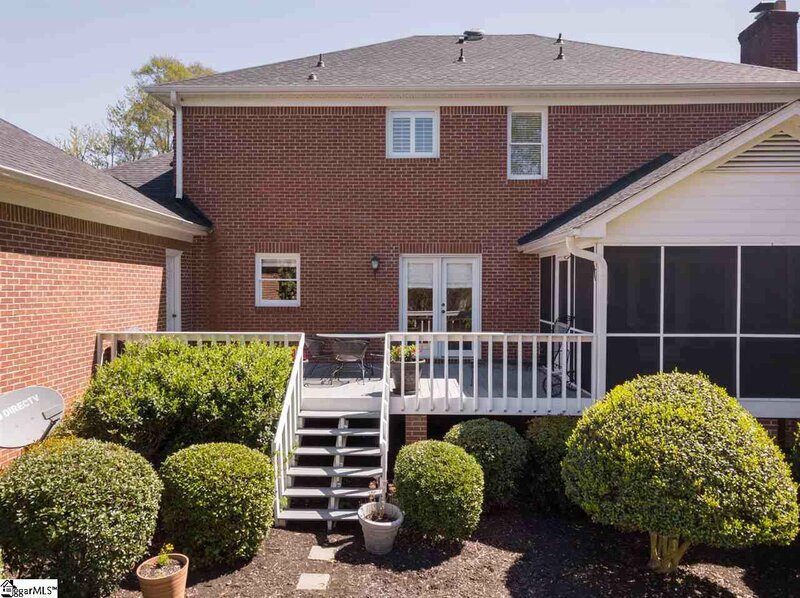 Bradley Oaks is in the heart of Five Forks Simpsonville convenient to everything!